If you’re running a plumbing business, you need a great advertising strategy. You’ve got to get on customers’ radars. So many are ready to hire a contractor today and your business depends on getting their attention. Here’s the challenge, though. In between fixing clogged drains and installing new irrigation systems, plumbing pros don’t have much time for courses in Advertising 101. You’re spread thin as it is. The good news is that we can keep it simple and get your advertising on the right track with a few key steps. The first step is clarifying your business goals when it comes to advertising your plumbing business. In other words, when you invest those hard-earned dollars in ads, you better know what you’re looking to get out of it. Gets you connected: Potential customers are picking up the phone and reaching out as a result of your advertising. Attracts the right customers: You are leveraging the channels where your ideal customers are and reaching your desired customer profile. Books the work you want: You’re getting the most profitable work in your core niche area(s). Builds your brand: Conveys your company values and demonstrates that you do high-quality work (regardless of price, which will vary). Has a strong ROI: Keep tracking your advertising return on investment and shoot for 3X returns. While this is a high-level way of thinking about your advertising goals, the specifics under each will look different for each unique plumbing business out there. A big part of getting started is really about understanding your customers, your brand, the best advertising channels for your business. There’s a big difference between brand vs. problem-resolution advertising. 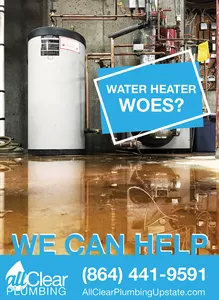 Brand advertising lets potential customers know something akin to “Hi, we’re a plumbing company.” Such ads don’t tell customers that you’re able to solve any particular problem for them, though. 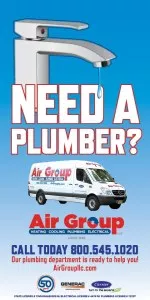 These ads build general brand awareness and let customers know that you’re one of the many plumbing service providers out there. It’s important to take your advertising to the next level and let customers know what you can do for them. Ideally, when they search for answers to questions like these, your company pops up and they click “Call now.” That said, not all problems are emergencies. Some might be desired upgrades, cosmetic changes, or just preventive maintenance that the customer wants taken care of. 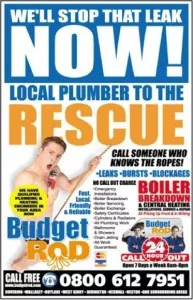 Plumbing advertising pros recommend spending roughly 75% of your advertising budget on problem resolution ads. This is because your focus should be on reaching the customer with one of your ads in those precise moments when they’re shopping around for solutions and asking friends for referrals. Get that initial sale in the door using this problem resolution advertising approach, then focus on building brand loyalty over the long-term with customers. When potential customers are frustrated by plumbing problems, why not make them laugh? At the very least, it’s a great way to draw attention to your advertising and stand out as a company. At best, you’ll be more memorable to customers and they’ll call you up when they need service. That, after all, is the core purpose of your advertising: To bring in business. Humor can be a gentle but powerful way of conveying your core message: hire a professional. 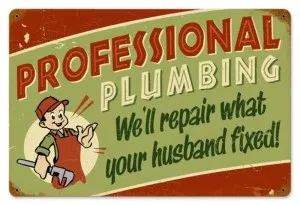 Whether it’s a joke about DIY efforts gone wrong or problem resolution advertising wrapped in a humorous subtext, you’re able to still convey the seriousness of the issue being addressed while standing out as a plumbing service with a little personality. It’s the best of both worlds. If the Internet were like Game of Thrones, Google Search would be sitting on the Iron Throne. For plumbing businesses, mastering Google Ads can be a highly-effective strategy but also a costly one if not done correctly. It’s such a powerful tool of course because Google is usually the first stop for customers looking for plumbing services. When they type their problem into that search bar and hit Enter, you’ll want your ad to show up towards the top of that search results page. It’s that simple. The Headline 2 (separated by the Headline 1 with a hyphen) entices the reader to click by telling them that services start as low as $20. The Display URL is relatable and directly references the type of plumbing the user is searching for (“/bathroom”). The Description section clearly defines the value proposition for the user and shows the various relevant services available in a bit more detail. Vital information such as the company address and phone number a front and center so the user doesn’t have to go searching for it elsewhere. It’s worth mentioning that when the customer does click on the ad itself, they should be directed to the most relevant URL on your site that addresses the problem the customer was searching for. In this case, it’s an issue with their bathroom plumbing, so they should be sent to the bathroom fixtures page on your site. Customers can’t always see a clogged drain or a leaky pipe somewhere behind the walls or under the counter, but they can sure feel it. This is where making the work visible becomes essential. 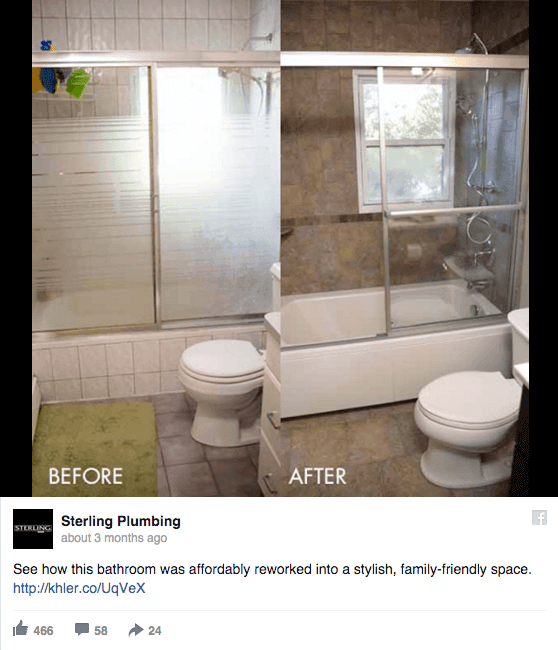 With simple, visually-driven ads like the one above, you can keep the text minimal and really show the value of your plumbing service. Very little explanation of what the customer gets is needed here. This is particularly ideal if your advertising budget is lean. Just the cost of taking pictures and posting the ad to whichever channel you choose. Plumbing businesses can increase brand awareness and gain the trust of customers when they sponsor local charities. 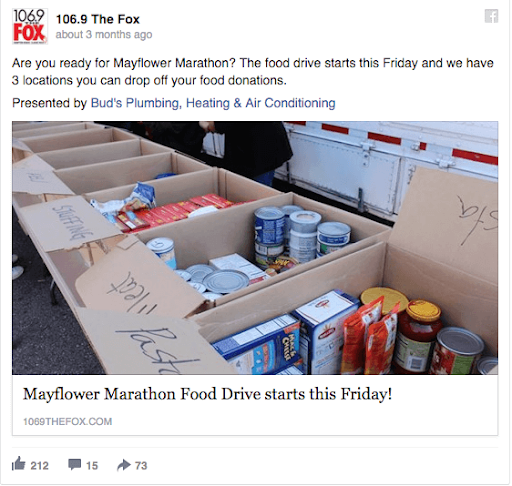 This often brings with it the chance to work with local media that effectively give your business free advertising by sharing with potential customers how socially-conscious you are as a business. 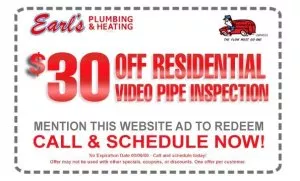 Such a credibility boost in the minds of potential customers will cause them to think about you the next time they need plumbing service or recommend you to a friend who mentions they have a plumbing issue. That’s exactly where you want to be, top of mind because you’ve built that trust often before delivering anything to that potential customer. Once you’ve got some clarity on your specific goals for your advertising strategy, you can deploy different versions of these sample ads and ad tactics mentioned above. Whichever types of ads you choose, linking it back to your business goals is the critical piece that will make your choice provide real value in terms of return on investment. 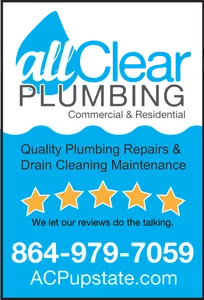 Remember, while it’s not exactly rocket science, getting advertising right for your plumbing business just takes some forethought and effort to nail it and bring in those new customers. Now, go forth and advertise. Earn more plumbing business using automated email and postcard marketing with Housecall Pro. Learn more.